Last year was the first year we did structured school in the summer and even though the boys complained, it was well worth the few hours we put in each week. My little guy tends to forget skills just over a week long break so I can’t imagine if we took the whole summer off where he would be come fall! Here is how we structure it. I only plan about 5 hours per week in the summer and the boys have their tasks set at the beginning of the week and just pick what they want to do each day. I typically have some rule around how much they need to get done before we can go to the pool or on some other outing. Sometimes we skip whole days completely as long as we work through everything in the list by the end of the week. We also have a few weeks completely off around holidays and birthdays and at the beginning and end of the summer. This summer it will work out to 10 weeks of “summer school” and 4 weeks where we are completely off. 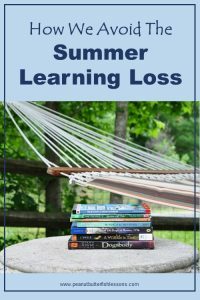 By doing this, we are also able to lengthen our summer by a few weeks and take a few extra weeks off during the school year. 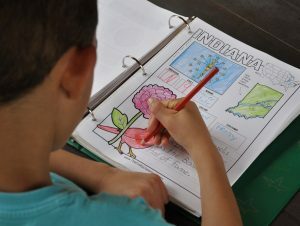 The main reason we started summer school last year is because typically, a child loses about 1 month of learning over summer break and schools can spend about 6-8 weeks at the beginning of each year re-teaching previous material. Reading and math are the areas where the most learning is lost with many students showing 2-2.5 months of loss. So despite the boys’ complaints, there are a few subjects that I have them review weekly during the summer because I sure don’t feel like re-teaching material in the fall! This summer Big Fish, a rising 4th grader, will start next year’s math curriculum, which always starts with review material anyway. He will also practice his cursive a couple times a week and start his grammar and spelling curricula for next year to keep those skills sharp. He reads plenty on his own so that will not be included on his summer school list. Little Fish, a rising 2nd grader, will continue to work on his 1st grade math skills as this is an area where he needs a LOT of exposure to the material to acquire each skill. We will also continue his structured reading and spelling lessons, and he will have copy work to do each week to maintain his handwriting skills. I had planned to finish our review of American history this year, but we are only at the beginning of World War II so I will continue reading to them about history and supplement with videos as possible. 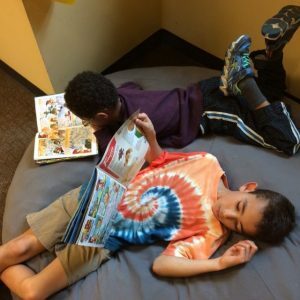 Each summer the boys join the summer reading program at the local library where they earn prizes based upon the number of hours they read. Big Fish will likely knock this out of the park this summer with no prompting from me. However, in addition to the books he chooses, I have encouraged him to pick a specific subject and learn as much as he can about it throughout the summer so he can become an ‘expert’ on it. He, of course, is considering becoming an expert on hockey! Little Fish loves to look at books but for books to “count” on his actual reading log, I will have him read to me so that we are continuing to develop his skills. I like to fill our home with a variety of materials that will allow learning opportunities for the boys without them realizing they are learning! This is especially helpful in the summer. 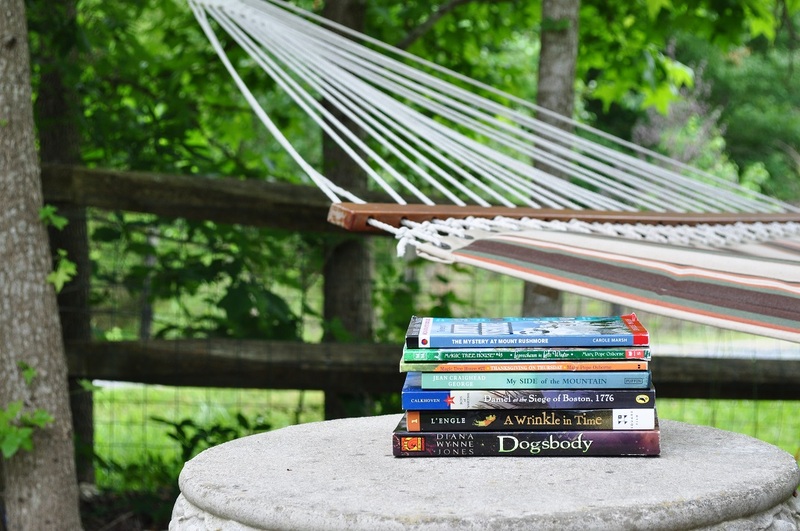 See my post, 8 Ways to Set Up Your Home For Incidental Learning for details. 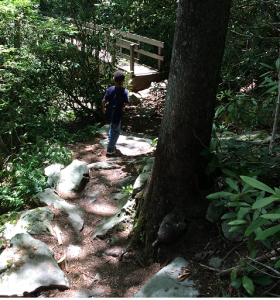 Summer is also a great time for field trips and nature study! We are going to be reading the Burgess Animal Book for Children this summer to learn more details about the animals that live in the forest, which will cover many animals that live around us. I may also use Anna Botsford Comstock’s Handbook of Nature Study, which I purchased a year ago, but have never used. We plan on hiking locally and taking some day or overnight trips. And I am sure we will find some science and living history museums to visit, too. We have a large garden where Little Fish helps and this leads to many discussions about bugs and plants, And, of course, we will spend plenty of time at the pool, parks, playing and watching movies! What special learning activities do you do in the summer?